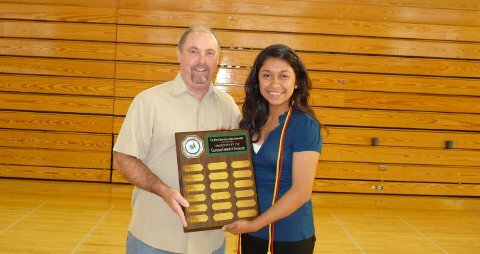 Scott Ratterman, CCF Vice President-Administration, presents the Childs/Hurst Renewable Scholarship Plaque to scholarship recipient Liliana Cerna. San Andreas, CA... 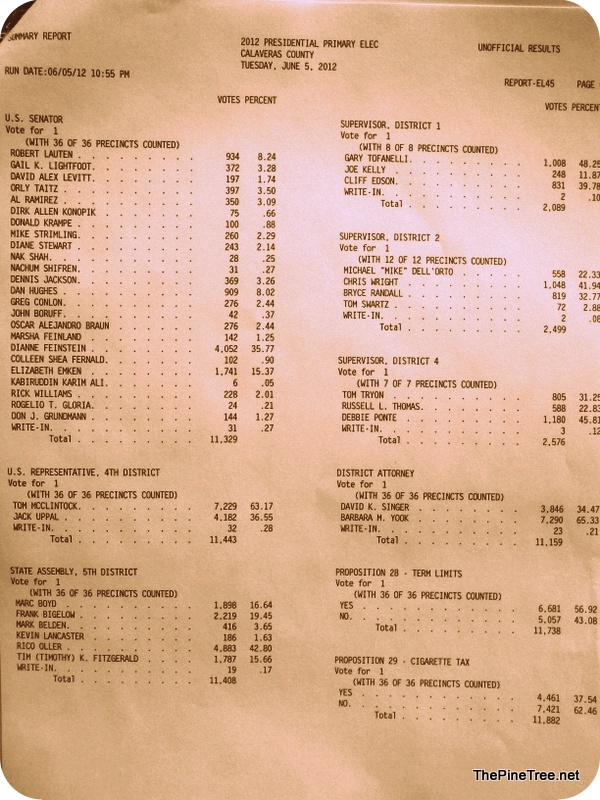 Stand By Assessment Fees for Indian Rock Vineyards Subdivision, West Point Improvement District 3, Ebbetts Pass Improvement District 5, Jenny Lind Improvement District 6, Copper Cove Improvement District, Saddle Creek Subdivision Improvement and LaContenta Improvement District. Another big item on the docket is Discussion and Action regarding Use of CCWD Standard Water Design Criteria for Blue Lake Springs Annexation Study. 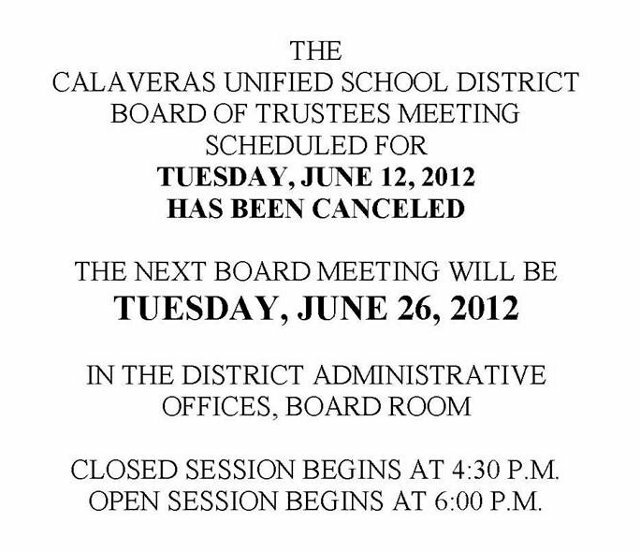 Agenda is enclosed..
West Point, CA...On 6-26-12 at about 7:10pm, a Calaveras County Sheriff’s Deputy attempted to catch up with a vehicle travelling at a high rate of speed on Rail Road Flat Road to conduct an enforcement stop. The vehicle stopped near the 4500 block of Rail Road Flat Road and all occupants fled into the brush. A perimeter was established in the area and 3 subjects were detained nearby. During an investigation and with the assistance of witnesses in the area, a firearm was located nearby that was determined to be associated with the vehicle. Subject arrested near Railroad Flat after attempting to flee from Deputies on a motorcycle and crashing. 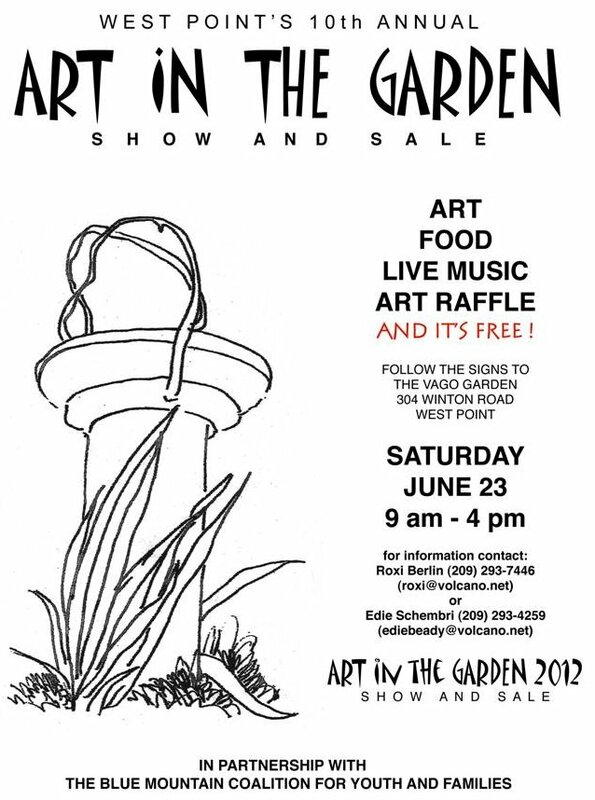 Make Plans to Attend West Point's Annual "Art in The Garden!" Above...The final results just before 11pm. The Record's Dana Nichols & Candidate Mike Dell'Orto, Supervisor Tofanelli Checking results with CAO Boyce....more above.